Anybody that knows me well knows that I love make up. Some people’s favourite item is mascara, for others their trademark must have is lippie but the product I cannot live without is foundation. It may sound boring but for somebody that has rubbish skin it truly is a Godsend. 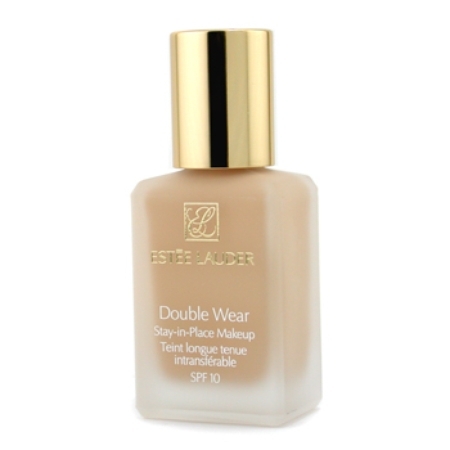 I have tried many but my foundation of choice and the one I keep going back to is Estee Lauder Double Wear. This stuff is amazing! I was introduced to Double wear whilst working for Lauder in Leeds and despite trying many others I always go back. It’s like an old trusted friend that you can always rely on. Since I was about 15, going out without foundation has simply not been an option for me. On an overnight stay anywhere, my foundation is the one thing that I double check is in my bag. I have had rubbish skin for as long as I can remember and it’s not for lack of effort on my part. I have always looked after my skin, taken my make up off, cleansed twice a day, moisturised, you know the drill. But despite all of this my skin has always been a massive issue for me. Before going away on a beach holiday in the sun, as well as the familiar excitement I also get the fear. Ridiculous I know but I absolutely dread having to go bare-faced. I envy those girls that swish along the beach and dive into the pool with gorgeous glowing skin. Just to make things worse, over the last couple of years I seem to have developed rosacea. I get a nose as red as Rudolph’s when I indulge in all of the things that are said to make it worse. Sun, alcohol and spicy food. As you can imagine the trips to Sri Lanka and India in the last couple of years weren’t great for my face. The other fear for me has been the gym. Not the actual exercise itself but having to bare my face. I don’t want to be seen to be the stupid, vain girl that plasters herself in make up just to go and work-out but I don’t want to get that major sinking feeling when I catch a glimpse of my complexion in the mirror. I want to be able to stand up tall and be confident but without my foundation I just can’t do that. As the red blotches appear, any ounce of confidence I have seems to disappear. I can’t actually believe I am typing this as many of my friends will not recognise this description of me. I come across as the bubbly, confident girl that loves to wear make-up because I like being glamorous, not because I want to wear a mask. I do love any opportunity to be glamorous too though, don’t get me wrong! I love foundation because it can make you feel like you have good skin and can give you a confidence boost but what I really want is to not have to slap on Estee Lauder Double Wear for a trip to Sainsbury’s just so that I look acceptable. This year has been a big turning point for me and for the first time in a long time I have been going out without make-up and without scaring small children. I looked in the mirror this morning and didn’t hate what I saw and didn’t have any major red patches on my face. So what has changed? I can put it down to a couple of really simple things. In February last year I went to see a lady that my friend has been suggesting I visit for a long time. I get hay fever really badly and when I say really badly, I’m talking more than a sniffle and bloodshot eyes. It’s to the extent that come June I have to go into hibernation in a serious way. I have had it since I was six and I am now 29 and I hope every year that this is the year I will have grown out of it. I have tried everything that the doctors can offer me apart from desensitisation (Where you have regular injections of the allergen to desensitise you) and I end up on steroids most summers. I used to work in a pharmacy and it always made me feel better when customers would come in, greeted by my snotty face and puffy, swollen eyes to say “Oh, at least you’re in the right place!” Obviously, because the conventional medication was clearly working for me. Idiots! I don’t really know how you would describe Natasha but she is a homeopath/microbiologist/witch doctor/wonder woman that has changed my life. I had to wait 9 months for an appointment and in the end Lucy sacrificed hers for me as booking a slot in before the hay fever season was due to start wasn’t looking likely. After prodding me with an electrode on my toe and thumb she listed a number of things that were out of balance and she went on to tell me that I should avoid dairy as it was the root of all of my problems. A bit of cheddar every now and then causing me to feel this rubbish! Really? Ironically I didn’t even mention my skin as although it bothered me I could plaster my face paint on and life was all good. As well as the dairy suggestion she also gave me a list of homeopathic potions that she wanted me to take but I figured it was best to do one thing at a time to see what was working for me. So, in February last year I gave up dairy and the result: My hay fever has improved dramatically and magically my skin has also improved. I didn’t even think I indulged in a lot of dairy but it is sneaked in things that you wouldn’t even imagine. 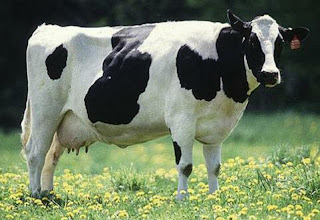 So reason number one for improved skin is eliminating dairy from my diet. Reason number two is the Dove Beauty Cream Bar. This little bar of goodness costs about 50p and since I have been using it my skin has never been better. I cannot believe I am actually uttering these words. A fan of expensive skincare, I have indulged in all sorts of lotions and potions in the past. As I said earlier, I used to work for Estee Lauder so I had an amazing staff discount and amazing skincare at my disposal and use it I did. I work in PR and used to work on Dove. Despite loving the body care, a skincare snob, I would never have dreamed of cleansing my face with the Dove Beauty Cream Bar. In hindsight, I think I may have been giving my skin too much love and it was fighting back big style. 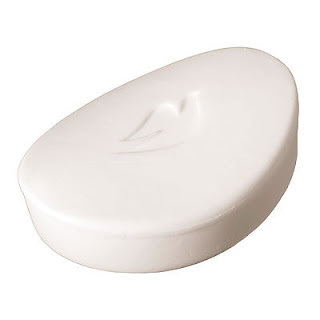 Now I use my Dove bar twice a day. Once in the morning and once in the evening after removing my make-up and then I apply my regular moisturiser. I do however have another trick up my sleeve and this is my absolute favourite thing. I brush my face. Let me be clear, this is not because I resemble a werewolf. Last year I started reading beauty blogs more and there was one thing that kept cropping up. 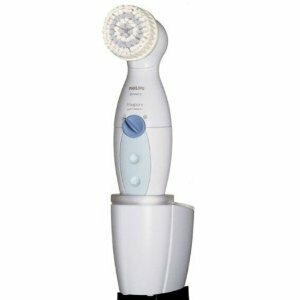 What was this Clarisonic that I kept reading about? I just had to have one. For anybody that follows me on twitter, you will remember I tweeted a lot about just how badly I wanted one but I couldn’t justify spending that much on a giant toothbrush for my face, could I? I remembered a little gadget that I got for Christmas a few years ago that was lurking in a drawer somewhere and I hunted it down. I don’t even think you can buy them anymore but in essence it is a cheap version of a Clarisonic. I started using the Phillips Visapure Soft Sensor and I did notice my skin improving. I even started getting comments on how well I looked. I would be inclined to agree entirely with these claims and my skin has definitely improved but as lines and wrinkles isn’t a major concern for me ( just yet but I have a feeling it will be soon) I don’t feel I could fairly review this benefit. I absolutely love my Clarisonic and wouldn’t be without it. True love! Having bad skin makes you feel rubbish. 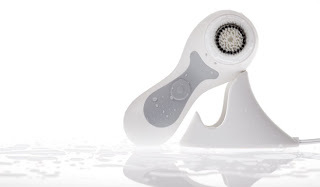 My Clarisonic tweets of longing and then of love have even encouraged others to go and buy one and I don’t think I have read a single review from a disappointed customer. The only thing I regret is that I didn’t opt for the Clarisonic Plus which has a head for your body too and obviously that I didn’t take the Clarisonic plunge earlier. My complexion is still far from perfect but I am getting there and I wanted to share a couple of the things that have worked for me as they may work for others too. Happy Saturday people, I am off for a swim. PR Girl, beauty product junkie, runner, food enthusiast & sports massage therapist who LOVES life! I'm also a bit of a secret geek that loves a museum or even a spot of bird-watching. These are things that you would not expect of me if we met. It's good to surprise people! I feel like I am getting somewhere! I am loving life right now! So the party is over, let the training commence! Happy Birthday Bourjois! #bourjois150 Join us for a party and prizes!